At home I own an automatic coffee maker. 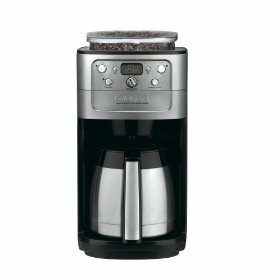 What I like about my drip coffee maker is that it is automatic and most important of all, it is programmable. Every morning I like to have a cup of coffee, but due to my lifestyle, I am very busy. Every morning I get up, take a shower, prepare my office things and all, I don’t have the time to go to the kitchen and set up my coffee maker and all. With my automatic drip coffee maker, I can program it to make coffee as I wake up, and after I am done with preparing, my coffee is ready in the kitchen.